Do you organise your emails? Because the Department of Health thinks you should! 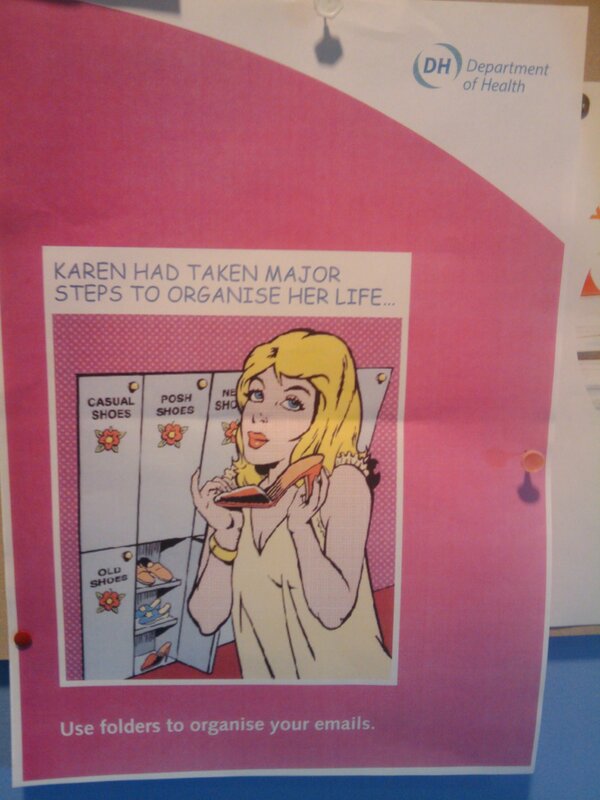 Here is a photo of a poster from an unnamed source at the Department of Health. I don’t know where to start with what is wrong with this. Patronising, sexist, a waste of money. Searching and tagging is better than folders anyway. And what category are the shoes in the open locker?! Perhaps this sort of thing should be cut… anyone feel like a FoI request to see how much it cost?